About 80,000 Americans died of flu and its effects last flu season, according to Dr. Robert Redfeld, director of the Centers for Disease Control and Prevention. That’s the highest number of fatalities in four decades. CDC officials say even half that number is alarming; fatalities have been as low as 12,000 in some years. That’s still a lot, considering the availability of flu vaccines and the low cost of getting it — in many cases it costs nothing. And the number could be higher; health officials say that because the flu is so common it isn’t always reported or listed on death certificates that instead show pneumonia, heart failure or other condition that was directly caused or exacerbated by the flu bug. In addition, the flu puts between 140,000 and 710,000 in the hospital every year. Several factors could have contributed to the high flu fatalities. The CDC reports one prevalent strain of flu last year was especially strong, and resistant to the vaccine that was issued. But the high number also coincides with a growing trend against vaccinations in general. Many people who have chosen to forgo all vaccinations are influenced by some celebrities who have repeated internet reports linking some vaccines to autism and other health conditions and illnesses. Medical experts insist those reports are largely false; while some people might have reactions to specific vaccines — just like some people have life-threatening allergies to common foods or plants — the number of people at risk is minuscule. The overall risk to the entire community grows with the number of people who aren’t inoculated against any disease, including the flu, the health officials say. Flu season generally runs during the winter months, especially from late October to February, and most doctors’ offices and full-service pharmacies, including Walgreens, CVS, WalMart and H-E-B, already are offering flu shots. Everyone ages 6 months and older is encouraged to get the vaccination. In many cases nasal sprays with the vaccine also are available. Most health insurance policies cover flu shots completely, so vaccination usually is free. The CDC notes that it takes about two weeks after vaccination for the body to develop adequate protection against the disease, so the sooner one is vaccinated, the better. Some small children will need the vaccine split into two doses, making the earliest first dose possible more beneficial. The flu bug changes from year to year and drug companies, using guidelines set by the Food and Drug Administration, change the vaccine every year to address those changes. Fortunately, officials say the most common flu strain this year is not as severe as the 2017 strain. 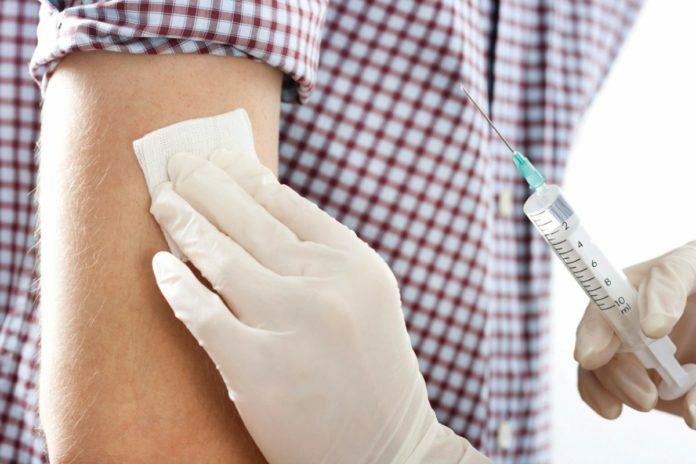 Several specific vaccines are available, and health officials will screen people for allergies and health conditions in order to administer the right vaccine. No vaccine offers 100 percent protection against all flu strains, but a vaccinated person who catches the bug anyway likely will have lighter symptoms, the CDC points out. The ease, availability and normally free administration of the flu vaccine should make inoculation an easy choice. The alternative could be a few days of misery — or something much, much worse.